Tim is a Forest School Practitioner that loves all things outdoors! Tim’s connection with nature started at an early age in Kennebecasis Valley where he played for endless hours in the forest surrounding his family home. That experience inspired a lifelong pursuit of engaging in activities that connect him with nature. As an entrepreneur, it made perfect sense for Tim to explore a business opportunity that allowed him spend even more time outdoors but it was his role as a father that lead him down the path to Forest School. In 2013 Tim happened upon a newspaper article about Atlantic Canada’s first Forest School that was scheduled to open that fall in Sussex, New Brunswick. As the father of a preschooler who shares his love for the outdoors, he knew immediately that he would do whatever it took to give her the gift of a Forest School experience. Over the next year, Tim spent over 3 hours a day, twice a week driving his daughter Jenah to and from the Tír na nÓg Forest School in Sussex. It was during those long drives back and forth that Tim began to truly understand the positive impact that this was having on his daughter’s life. As an entrepreneur for over 20 years, Tim found himself in the unique position to explore a new business opportunity when he sold Discount Car & Truck Rentals, which he had owned and operated for 10 years. Tim’s passion for nature and his desire to bring the experience his daughter had to other children in his own community lead to a partnership with Lisa Brown of Tír na nÓg Forest School. Tim believes that the social, physical and mental health benefits of spending time in nature will follow these children throughout their life. He is committed to getting kids outside and helping them make this connection with nature. Tim traveled to London in the UK to study and explore the benefits of a Forest School program for Saint John. This training and his experience has allowed him to provide significant input while working with the Province as policies are developed that will support Forest School Practitioners who want to run inspiring, effective and safe Forest School Programs. Tim currently resides in Millidgeville with his wife Christine, their two children, Jonathan and Jenah along with their dog, Bailey. They have a keen interest in the outdoors with a passion for camping, fishing, hunting, hiking, kayaking, landscaping and even beachcombing some of the wonderful islands on the Saint John and Kennebecasis Rivers. Cloudy Sundays Corp. and Sales Inc.
Elizabeth is a teacher, Forest School Practitioner, animal-lover, aunt to two nephews and a genuine nature enthusiast. Elizabeth grew up in Calgary, AB and was very active from a young age. She spent 16 years as a competitive swimmer, many of those years competing at a National level and traveling around the world. She spent her winters skiing with her family in the Rocky Mountains, and two weeks of every summer at Osoyoos Lake in British Columbia. Elizabeth remembers spending much of her childhood outside, instilling in her a passion to bring children outdoors. Since retiring from the life of an elite athlete, Elizabeth discovered a love for hiking, yoga, horseback riding, dog sledding, snowshoeing, canoeing, cross-country skiing, dirt biking and exploring the many wonderful trails around the Maritimes with her dog, Rain. Elizabeth has lived in three different provinces and has worked in a multitude of unique outdoor environments. In Alberta she volunteered at a dog sledding company in the Rocky Mountains ; in Ucluelet, BC she worked for a zipline adventure company and enjoyed the beautiful rainforests of the West Coast. After a couple of years near the ocean, she moved across the country to Fredericton, NB to begin her Bachelor of Education degree at UNB. Her grandfather frequently told her that she would make an excellent teacher, and his unwavering faith helped her to complete the degree with Honors. While working on her Education degree, Elizabeth also completed her Montessori preschool/kindergarten diploma. 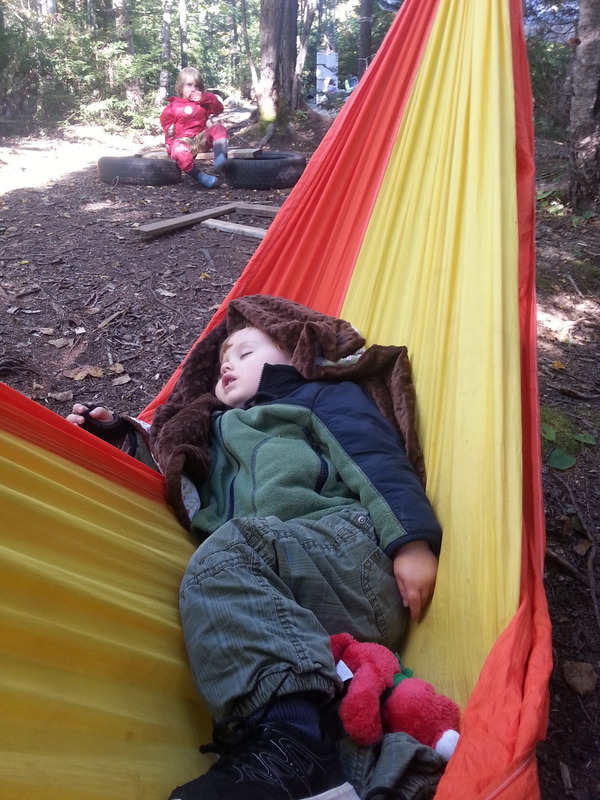 It was during this time that Elizabeth discovered the incredible ‘Waldkindergarten’ forest schools in Europe and from then on, she started dreaming of someday working in an outdoor program; sharing her love of the outdoors and inspiring children’s love of learning through play and exploration in nature. After volunteering for Lisa Brown at the original Tír na nÓg Forest School Sussex location in 2014, it became clear to Elizabeth that "this" is where she wanted to be- Forest School combines her love of teaching with her love of all things outdoors. Since 2014, Elizabeth and Tim have worked together to build the preschool programs in Saint John and Quispamsis. The 2018/2019 school year will welcome the exciting new addition of our Grade 1-3 class! Elizabeth is proud to be part of such a wonderful group of Forest School educators and excited to be going into the 5th year of Tír na nÓg Forest Schools in Saint John and Quispamsis! Jessica was born and raised on her family dairy farm in Pearsonville, New Brunswick . When she was 16, Jess started working at Lisa's Playhouse as a summer job. It didn't take long to know that working with children was what she wanted to pursue! After graduating from High School, she moved to Charlottetown, PEI where she attended Holland College in the Early Childhood Care and Education Program. While studying there, she had several placements working with childcare programs, preschool, kindergarten, after-school and family resource programs. After her diploma, Jess studied a Bachelor of Child and Family Studies at the University of Prince Edward Island. During her degree program, she focused on older children and families and did placements in group homes as well as the adolescent psychiatric unit at the Charlottetown hospital. After Jess graduated from UPEI, she moved to the beautiful Rocky Mountains in Alberta and made Jasper her home. 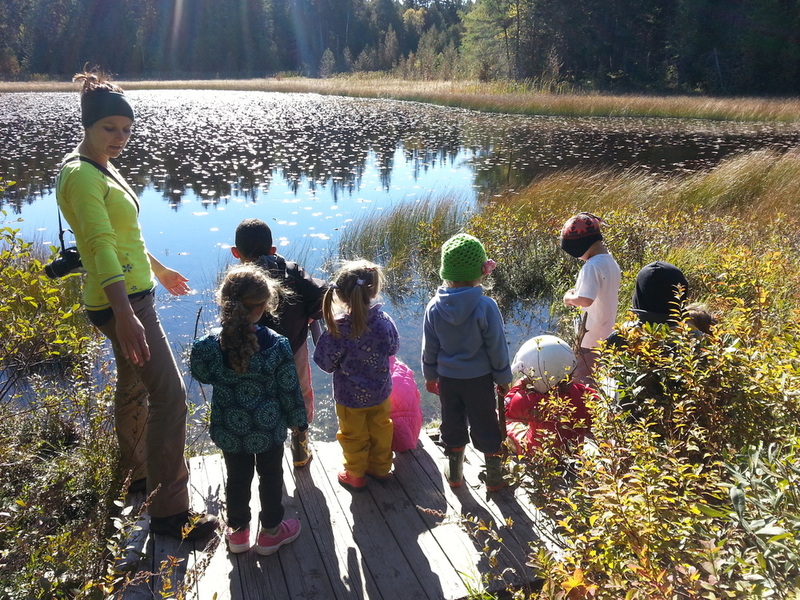 While working for the childcare center in the town of Jasper, she fell in love with hiking and enjoyed discovering a whole new and unique environment. 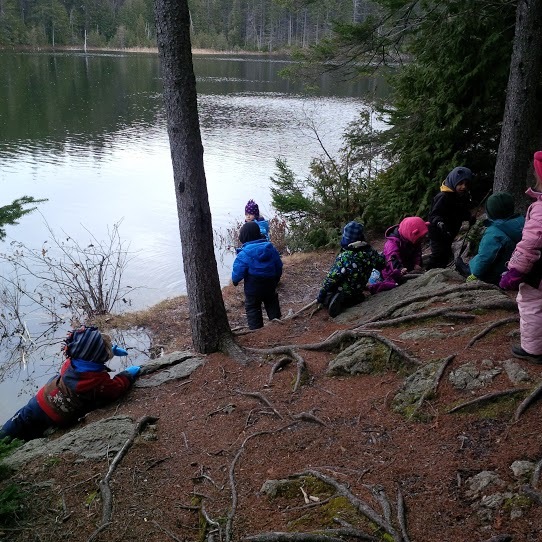 While living in Alberta, she attended Forest School Canada’s Forest School Practitioner Course in Bow Valley Provincial Park. With a lot of hard work, Jess became Atlantic Canada’s first Forest School Canada certified Forest School Practitioner in September of 2015. Jessica now lives back on her family farm just outside Sussex and enjoys camping, working in the sugar bush, raising orphaned lambs, hiking and exploring with her Border Collies, Bell and Ritz. She is proud to be a part of the Tír na nÓg team and part of the movement to get children back outside! Laura grew up in the beautiful Kennebecasis Valley and is excited to begin her teaching career in the community that she calls home. She obtained her Bachelor of Arts degree first at the University of New Brunswick in Saint John and then pursued her Education degree from the University of New Brunswick in Fredericton. Since 2013, Laura has been a proud mentor with the Promise Partnership, an initiative between UNBSJ and deserving youth in the local community. Her involvement with these children has fueled her passion for educating young minds. During her Arts degree, she studied extensively the French language, earning a French major. Laura was fortunate to study alongside innovative future educators and found true mentors among her professors in the Faculty of Education. Laura has a life-long love of the outdoors, respect for the environment, and a commitment of on-going learning. She is very enthusiastic to guide learning in an imaginative, creative, play based outdoor setting. Laura is excited to join the Tír na nÓg Forest team and looks forward to meeting the children and growing together! Laura can often be recognized by a big smile on her face, a song on her lips and an eagerness to explore. She grew up in Toronto, ON and was always finding parks and ravines. Some childhood summers were spent with family in Grand Bay-Westfield, NB exploring forests, cracking lobsters and swimming like a fish. Other summers were spent in Prince Edward County, ON, climbing the sand dunes, cycling to coves and searching for shells and rocks. Summers remain some of her fondest childhood memories. Being the eldest child in her family she knew from a young age she enjoyed teaching. Her patience combined with her passionate curiosity for the world led her to Nipissing University in North Bay for her Bachelor of Education in 2010. During this time, her love of the outdoors was fueled by snowshoeing, hiking, and cross-country ski trails. During this time, she achieved a Kindergarten Certificate and her Additional Qualification in Special Education Part 1. From here she wanted to further pursue early education so she went to George Brown College for her Early Childhood Education Diploma. During this time she had the opportunity for an International Placement and she completed a month in Portmore, Jamaica teaching with local teachers in a Kindergarten class. From this experience she gained valuable insight into the benefits of play-based education and had a renewed sense of the joy of learning, especially the power of storytelling. Since 2014, she has been working as an Early Childhood Educator with the Toronto District School board in a Kindergarten class. During this time she has become very familiar with Kindergarten curriculum and has used philosophies from Early Childhood Education as well. She has enjoyed a wonderful teaching partner and sense of community with the families and staff at the school. Though she enjoyed her job, she felt there was something missing. This was until she started volunteering in Forest School sessions at the Kortright Centre for Conservation on Saturday mornings. She has been volunteering for the past two years at this location and has learned many valuable lessons about the connections between nature and learning. This discovery led her to pursue the 2017 Forest School Practitioner’s Course in Ottawa and she continues to work towards its completion. Her favorite pastimes include reading, volleyball, hiking, cycling, kayaking, baking, knitting and adventures. She loves to travel and most recently has been fortunate enough to explore the Yukon, Iceland and New Zealand. Laura is extremely excited to be part of Tír na nÓg and looks forward to exploring with everyone in the forest! Denise is a passionate and dedicated teacher with over eleven years teaching experience. From an early age she has always loved to explore, travel and teach. Growing up in French Village, NB allowed Denise and her three siblings endless opportunities to play in nature. Building forts, hiking the woods, rock jumping down streams, and camping with her family are some of her strongest memories as a child. She began her teaching journey in Taiwan as an English language instructor after completing her Bachelor of Arts degree at Bishop’s University. It was during that year she realized her desire to travel and teach abroad. After returning home and completing her Education degree, she was inspired to discover her own country. She traveled from coast to coast, eventually ending up on the beautiful Vancouver Island where she taught first and second grade French Immersion. The island provided many opportunities for hiking, camping and being involved in a wonderful community. Denise continued her love of adventure and began her career as an international educator; first teaching in Saudi Arabia, where she met her husband, Dagen, a guidance counselor from Seattle. Together they moved to Guatemala where they spent three years exploring parts of Central America, hiking volcanoes and discovering the ‘country of the eternal spring’. After three years in Guatemala, they moved to Malaysia, having an opportunity to work with a truly international group of children and spend some time traveling. With family and friends in mind, Denise returned home to Canada, settling in Quispamsis. She worked as a preschool teacher for a year before having her second daughter, Waverly. International teaching has allowed Denise to understand the importance of connection, to create true friendships within each culture, and to be exposed to a vast range of teaching methodologies. She has always enjoyed teaching an inquiry-based curriculum and is excited for the opportunity to work within a natural environment. She believes in the development of the whole child, focusing not only on academics, but on social and emotional well-being. Denise is thrilled to join the Tír na nÓg Forest team and be part of this amazing learning environment. Be sure to follow all our adventures on our Social Media!